Rising concerns around inequality, unconscious bias, and stereotyping in society, and the perpetuation of all three via marketing and creative, has never been more apparent. According to J. Walter Thompson Intelligence, inclusive design is the resulting trend, and an essential step to ensuring creative is designed without insidious bias against groups of consumers. J Walter Thompson (JWT) Australia chief strategy officer, Angela Morris, said after a rollercoaster year of political, environmental and economic change, consumers are reeling and marketers need to bring a human lens to their activities as a result. “Increasingly, we are seeing a growing acknowledgement that disruptive change via tech and data isn’t always without collateral damage to humanity. From the onslaught of social media judgement to privacy fears, consumers are looking for businesses and brands to take responsibility to ensure that progress puts human implications front and centre,” she said. Kantar global content Lead, Amy Fridlund, also noted societies around the world are renegotiating gender, both in terms of what it means and what is acceptable. “In 2019, marketers will start getting to grips with societal issues, and use their power and leverage to promote progressive gender portrayals in advertising. Women cannot relate to many of the ads they see, and progressive male role models are rare," she said. "For example, while 75 per cent of ads tested by Kantar in 2018 featured women, just 6 per cent portray women in authoritative roles. "Learning how to deal with unconscious bias and win with women and will be increasingly critical to business growth." Recent reports show the local adoption of voice activated devices and smart speakers, like Google Home and Amazon Alexa, is outstripping the US and the UK. In fact, four million local consumers are predicted to use their smart speakers for shopping in 2019, according to Versa’s The Voice Report 2019. Brands not incorporating voice into their digital strategies will find themselves behind the pack in 2019. “In light of launches such as Google Home and the Amazon Echo, which continue to grow over the festive season I’m sure, it’s only a matter of time before voice will disrupt the digital marketing ecosystem as we know it," Quantcast head of marketing for Asia-Pacific, Rachael Townsley, said. "With voice search on the up, I expect 2019 will see brands build this in to their media mix and address voice as part of their user experience. And for those in ecommerce, especially with Amazon entering the market, I expect voice ordering will push brands to focus on owning the customer in their homes.". More than just another channel of engagement, Kantar executive director, Alistair Leathwood, said embracing voice requires a whole new way of thinking about brand. "This is about being focused on natural language conversations and a recognition that sound and pronunciation are as important as logos, branding and other visuals,” he said. From content to creative, to customer experience, care, service and data analysis, the role of the CMO has undergone significant change in the last five years. “The modern CMO understands the fundamental goal of marketing is to establish and grow authentic connections with your respective audiences," Infogroup CMO, Tony Marlow, said. "Data is a critical first step to understanding your audience and this has already given rise to the data-literate marketer. But this shift towards single customer view and end-to-end engagement also impacting the way marketing functions are being set-up and operate. Employment Hero CMO, Cat Prestipino, expected a breakdown in what’s considered digital marketing as a result. “When digital marketing started over a decade ago, it was the only channel where you could test and track the impact of your campaigns. Fast-forward to now with an increased focus on attribution, most marketing channels allow for some form of testing and measurement," she comments. “As marketers are forced to focus on the individual customer journey, rather than the channel, silos within the marketing channel will disappear entirely and teams will be set up more along the lines of customer acquisition or customer retention consisting of different skill sets rather than channel ownership." GroupM head of digital investment and partnerships, Venessa Hunt, said this is also triggering a shift of the CMO’s mindset to longer-term marketing goals with a focus on brand building. As digital has become the dominant advertising vehicle, Townsley noted the focus on short-term tactics to drive results. Somewhere along the way, long-term brand-building took a back seat. The consumer is demanding more bespoke content, when they want it, and on the channel of their choice. Gone are the days when the same content could be served across multiple channels without thought. When it comes to the types of creative in-demand in 2019, video is a must-have. “We live in a world of user generated content, there’s more video content that ever before,” Townsley said. “Consumer attention has to be fought for and brands that use video that encourages engagement and excites their audience will win. With this in mind I expect we’ll see higher emergence of short-form video. Video is a powerful medium that works. Hubspot reported adding video to an email can boost click-throughs by 200-300 per cent and increase conversion rates by 80 per cent. "I believe this will continue to grow and be a powerful medium for advertisers over the next year if done right." As well as online streaming, JWT expected podcasts and audiobooks to continue to grow, as people seek to inform and entertain and educate themselves in other ways than simply looking at their screens. As brands continue to increase their focus on digital, Bonzai CEO and co-founder, Rahul Pandey, also said the importance of creatives in the digital ecosystem will rise. The focus on customer experience almost sounds like a broken record now, but it doesn’t make it any less important. The consumer journey is no longer linear, and may involve various touchpoints before a conversion is achieved. The message? Be seamless across all touchpoints, link the journey, and ensure the best user experience whether the touchpoint is physical, digital, or anywhere in between. 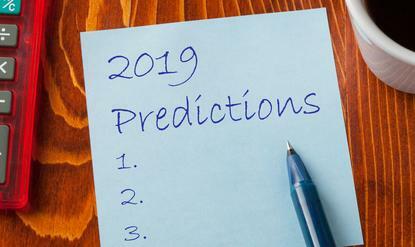 “The customer experience will be more important than ever in 2019, with consumers expecting their digital experience to translate to in-store. The emergence of virtual reality, augmented reality, and improved mobile technology will continue to push retail brands to add layers and new experiences to traditional retail models,” said Rakuten Marketing Asia-Pacific leader, JJ Eastwood. "This year, we have already seen retailers allowing online purchases being returned in-store, limited edition products available at in-store retailers and the ability to place online orders at the physical checkout. Next year, will see the emergence of virtual reality, augmented reality, and more. This will be a particularly important trend in the Australian market, as Australian consumers largely prefer to shop both online and offline, and as such, expect their experiences to translate, regardless of where or how they choose to purchase." Kantar executive director of customer experience, Jon O’Loughlin, said 25 per cent of brand impact is delivered by paid media, with the remaining 75 per cent the result of owned and earned touchpoints. FreeWheel commercial director A/NZ, Arjun Arora, said marketers heading into 2019 will face a big challenge in how they make the most of the technological advances in TV and video, and maximise campaigns across platforms and devices. Meanwhile, Rokt CCO, Ant Hearne, said 2019 will see more companies realising the value of marketing to shoppers when they’re already in an ecommerce or transactional environment. “Smart marketers will reach out to customers with not only personalised and highly-relevant messaging, but also when they are in the mindset to engage. Those that are wise to this opportunity will be the companies primed for success next year,” he said. For Unbounce VP of product marketing, Ryan Engley, 2019 will be the year of page speed for every business marketing online. He pointed out Google research showed 53 per cent of mobile website visitors will abandon a webpage that takes more than three seconds to load. "Customers expect superfast mobile content and Google is making changes to be sure they get it. The company sent strong signals through all of 2018 that page speed needs to be a top priority, and this year, it'll be taking it further," he said. "Companies that can deliver lightning fast user experience will see a first-mover advantage - better quality scores, higher ad rank, and more leads and sales." Despite widespread backlash against programmatic for its lack of transparency, programmatic advertising spend is still strong both globally and in this part of the world. In fact, with global programmatic spend expected to surpass $43 billion by 2020, programmatic is far from peaking, and will reach its next phase of growth in 2019. “As programmatic matures, we need to look to where the next phase of growth lies. The trend towards all forms of Advanced TV – Connected TV, Catch-up TV, BVOD; the acronyms and new terms are endless - picked up pace in 2018 and will continue to grow in 2019," dataxu country manager, Matthew Joyce, said. And with the age of personalisation here to stay, brands will be working smarter to ensure customers receive more relevant, contextual messaging informed by data and insights, Pandey said. “Creative management platforms that can deliver creative campaigns programmatically and at scale will be a game changer for brands who are open to leverage new tools to allow both deeper engagement with customers and ensure campaigns work more efficiently down the marketing funnel. “You will cross paths with high impact ad formats that delight and surprise. We’re not using the same technology as we did in 1994 when web ad banners started to surface, so why are we still advertising digitally like we did in the 90s? Creative advertising platforms have come a long way, and will continue to evolve in 2019, making lazy static banners a thing of the past, and non-intrusive, engaging, rich media formats the way of the future.